As many of you know, the 2010 FIRST Robotic Championship is taking place this week at the Georgia Dome in Atlanta. I am very excited to travel to this event for many reasons. Did you know that the Championship will have more than 10,000 young people competing with 500 robots? Six playing fields will be utilized by teams to compete in. The event is free and open to the public. In addition to getting to see these teams compete, many organizations will have booths on display for the public to visit and learn about STEM education resources at the Georgia World Congress Center (located next to the Georgia Dome). 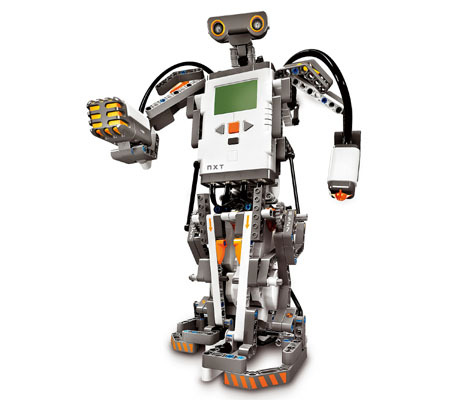 X PRIZE Foundation has been invited by LEGO Education to help man their booth on April 15th-17th. We are very pleased to be partnering with LEGO at this event and exceptionally eager to announce one of the first Google Lunar X PRIZE Partnership Challenges with LEGO, National Instruments and Wired magazine. There will be all kinds of hands-on learning activities to participate in and opportunities to take home some cool resources.If you happen to be in Atlanta this coming Thursday-Saturday, please stop by our booth to learn about our innovative challenge. You can also follow me on twitter @ ChandaGo for updates about FIRST and our challenge announcement.